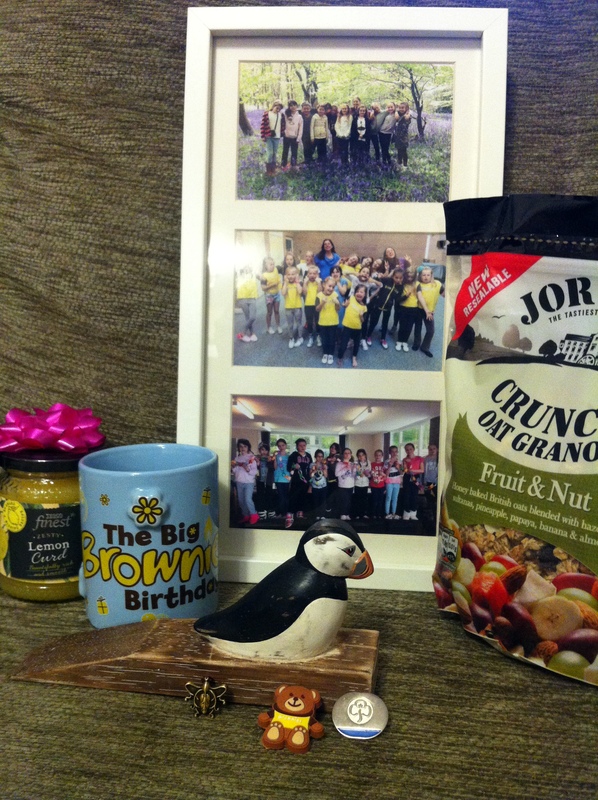 Tonight was Meg and my last night at Brownie Girl Guides. We have so enjoyed the Girl Guiding program here in Durham. I have enjoyed serving as an adult helper with our unit. Each adult is known by a bird name. Natalie our unit leader is called “Jay”. The other adults are known as “Snowy Owl and Nightingale”. I am known as “Puffin”. I chose this name because I love Puffins. They are a local bird but I have yet to see one in real life. During the meeting tonight we had a fun night filled with games, memories, snacks, cards and presents. The group was so very sweet to me and Meg. We love each and every girl so much. We pray that they grow in wisdom and grace as they each continue in their lives. Meg and I will pray for them and their leaders. The past leaders of the group have become quite precious to us as well, Brown Owl, Tawny Owl and Robin. I can not thank them enough for their guidance as I found my way from former US Girl Scout to UK Brownie Girl Guide helper. ← Football or Soccer? Ask the (right) Brits.